Sorry I’ve neglected you, this year has been a bit of a slow burner so far, a bit like my crafting; slow work but working up to a big flame! 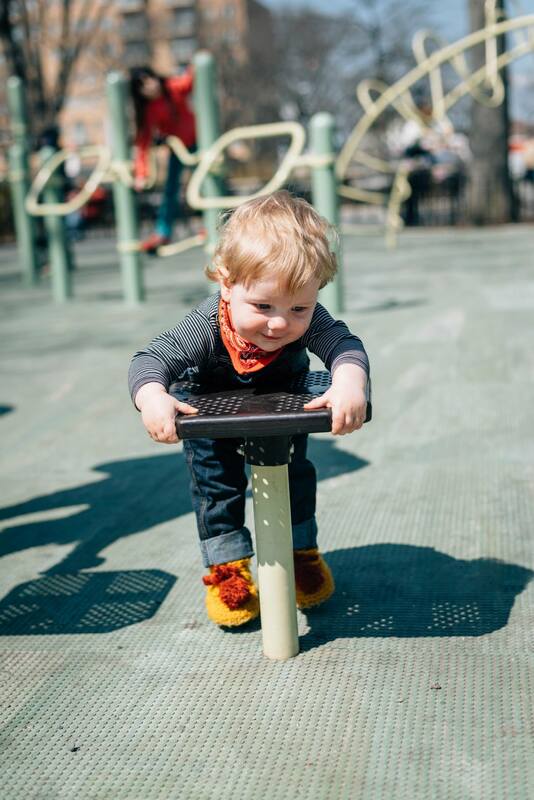 I found the start to the year quite hard trying to balance work, motherhood and my passions for music and craft, it has been a bit of a juggling act. I think I’m just about turning the chaos into some kind of order. It was really good to get some perspective on things when we went away over Easter, it’s so great to get away for a little bit, isn’t it? 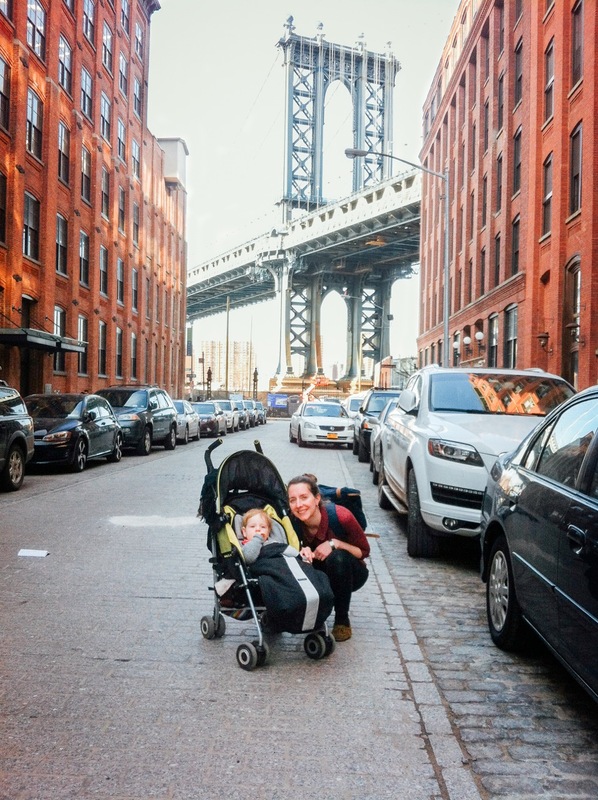 We were super lucky to go to New york for 10 days and visit family in Brooklyn. 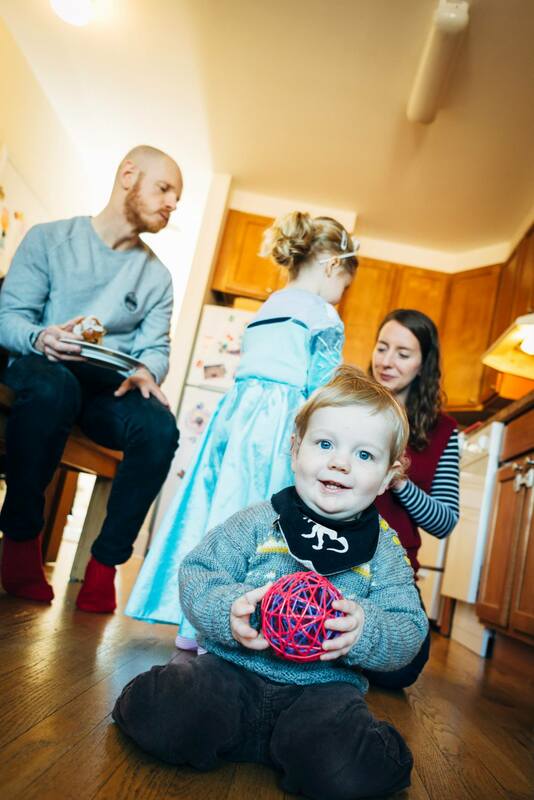 It was both very exciting and a bit scary to take Roo away for the first time on a big trip, but we had an amazing family time. I only went and knitted a gawd, darn sweater! I have done some (simple) knitting before, mostly things that involve square shapes, but I’ve never knitted a jumper before, so this was a first. 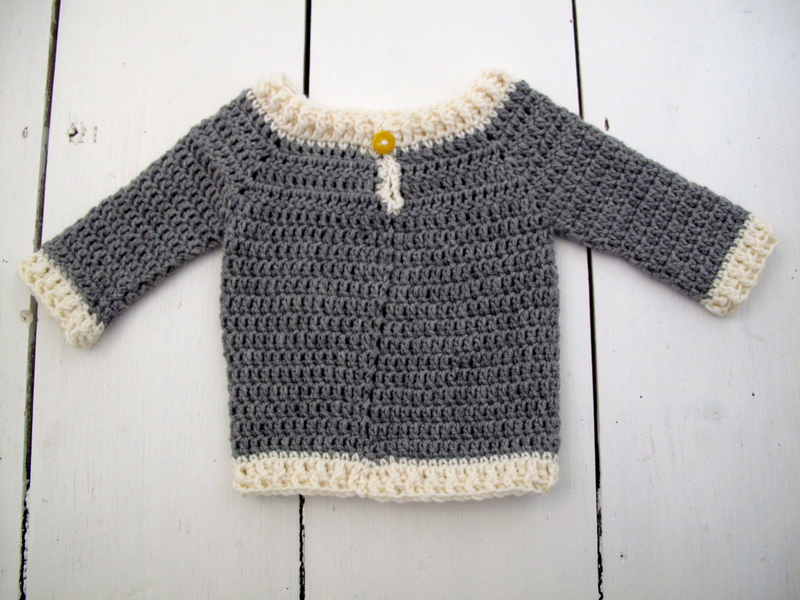 As a slightly more experienced mum now after a year or so, I knitted this in my favourite merino wool (Tip: I bought some in bulk online, check wool shop ‘Sale’ sections!) 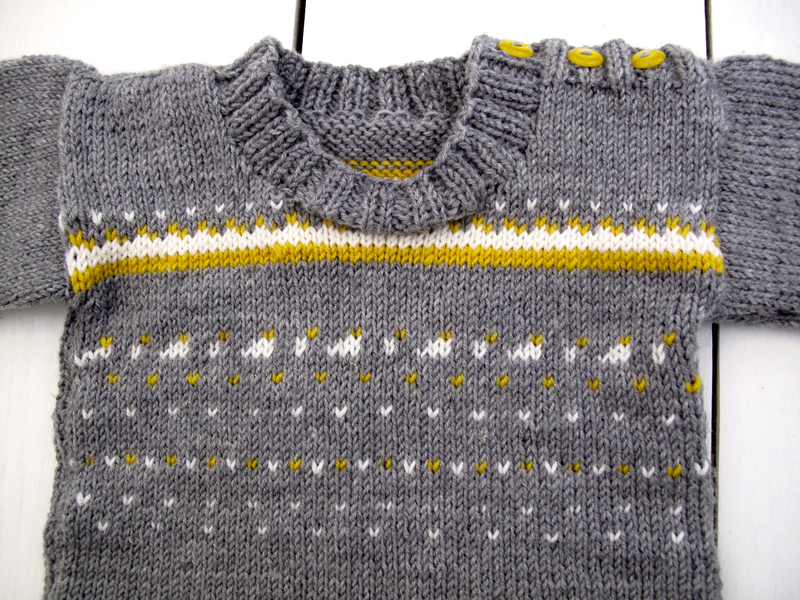 but made sure it was ‘super wash’ so it is a practical jumper as well as a pretty one. I really feel happier when things are both aesthetically pleasing and practical and I’m not the world’s best at remembering to hand wash, so this was definitely the way to go. There was quite a lot of undoing and swearing and starting again, so it went even slower than I expected, but I got there in the end. I’m really pleased with how it came out and I am feeling satisfied with my efforts although I’m no expert knitter yet! I used this free pattern in the largest size and I made up the patterned bit which was fun, just because I wanted a bit of colour and honestly got bored knitting in the same colour. The bits I was worried about actually were easier than anticipated, like the neck and buttonholes. 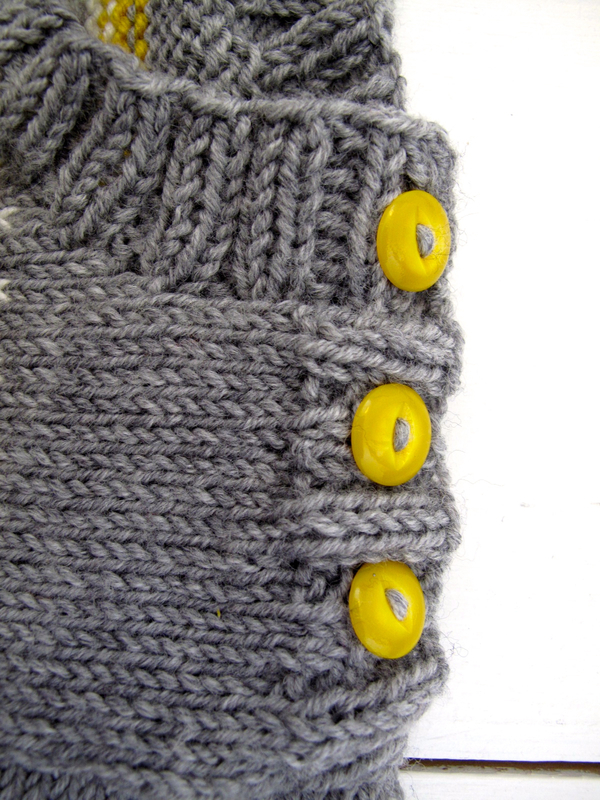 I love, love, love these yellow buttons! 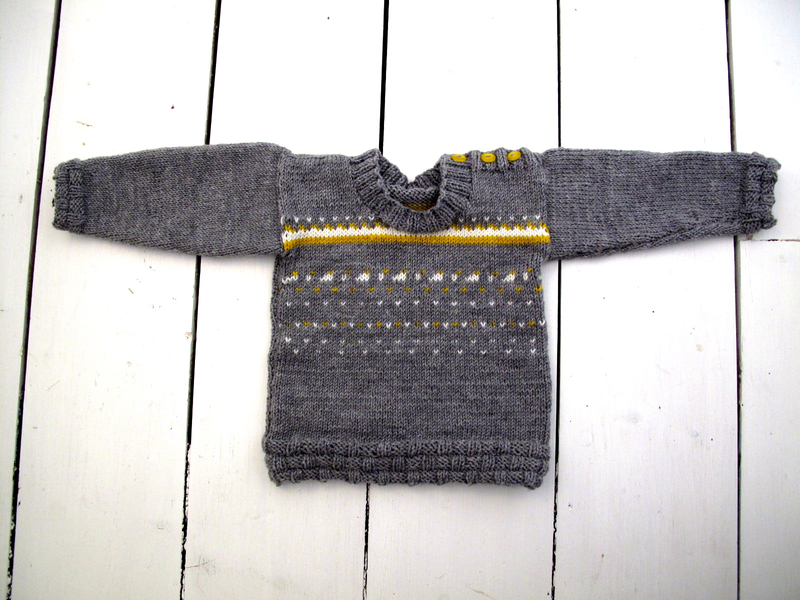 I had enough wool to make a little jumper for Roo’s new cousin who has just arrived. Yay! 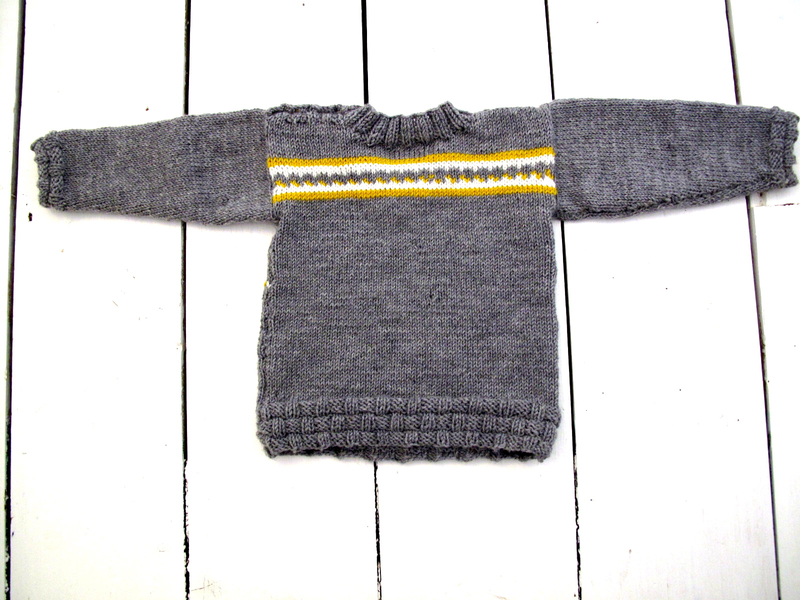 It’s my favourite jumper to make for babies which I adapted from this pattern to make the Little Cornish Jumper. Hopefully it will be breathable enough to keep her cosy through the constantly changing Spring temperatures and of a cooler evening but without overheating when it warms up. I kept the front nice and simple. 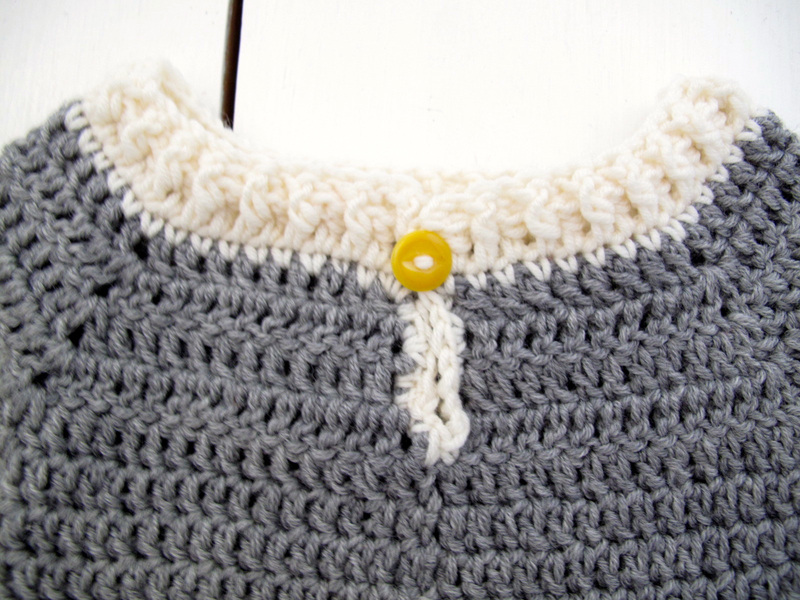 But, I added a button at the back (that yellow again!) . . .
. . .not only because I love the colour combination, but also because it should make it easier to get the jumper over baby’s head.